What on earth could a plastic surgeon have in common with astronauts? Not much, we would assume. Well, fortunately for our skin, Dr. Yannis Alexandridis realized quite a bit. When the London-based plastic surgeon started his practice, he couldn’t find skincare that would help heal his patients’ skin effectively following cosmetic procedures. In continuing his research, he found that skin ages faster in space due to environmental extremes and sought to collaborate with scientists responsible for astronauts’ well-being. 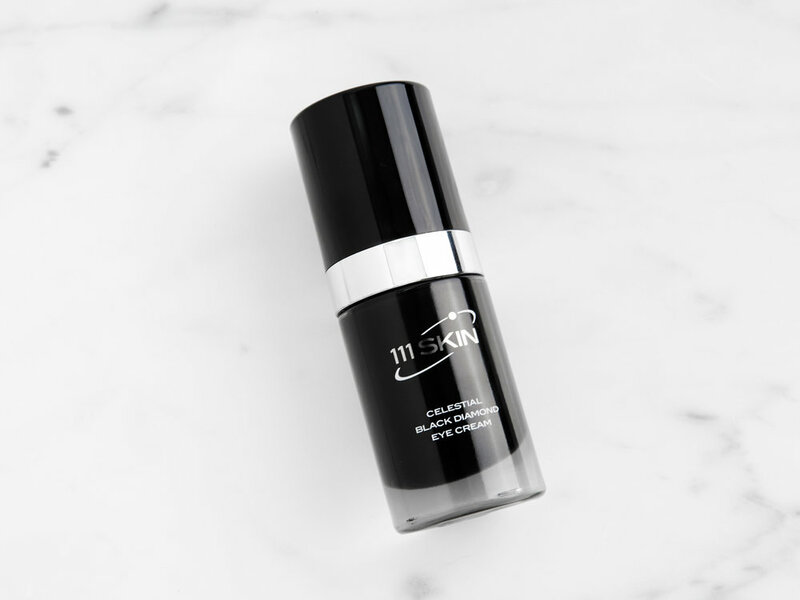 Enter 111 Skin, a performance-driven skincare line that uses a special patented formula in its highly coveted, sell-out serums, masks and creams that we are obsessed with. Speaking of obsession, Dr. Alexandridis’ wife Eva, who runs the business side of 111 Skin, is an inspiration in her own right. She’s hip, global and is the perfect physical manifestation of what space-age skincare can do. Not to mention, she’s a Mama balancing it all. We sat down with Eva to chat work, skincare and how she puts family first. CAN YOU TALK US THROUGH HOW IT OCCURRED TO YOU TO CONNECT SKINCARE WITH ASTRONAUTS? A SEEMINGLY UNLIKELY CONNECTION, NO? Your skin ages faster in space because of environmental extremes. For that reason, Dr. Alexandridis sought to collaborate with space scientists responsible for the well-being of astronauts. 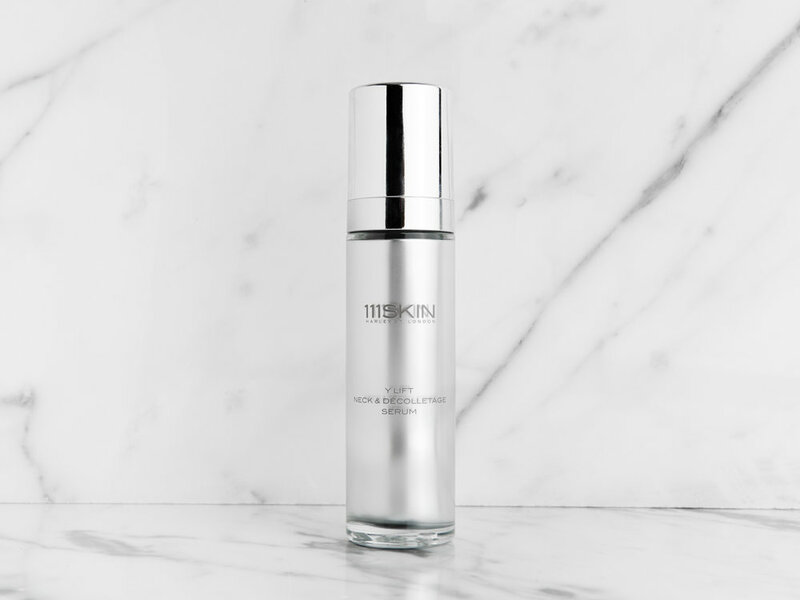 Our aims were essentially the same – creating a formula to protect, repair, prevent aging and nourish the skin. The key ingredient in our NAC Y² formula, N-Cystine, is an essential amino acid given to astronauts to delay damage from environmental extremes and radiation. WOW. OK THAT MAKES SENSE. WHAT WAS IT LIKE COLLABORATING WITH SPACE SCIENTISTS? CAN YOU GIVE US A PEEK INTO THAT INITIAL CONVERSATION? It was very exciting. It was great to work with an extremely talented and a knowledgeable group of people who understood our aims and needs of what we were looking to create. Astronauts need to have the most effectives formulas to cope in extremely harsh conditions – there is higher radiation, and no gravity – both accelerate aging and that needs to be balanced off with proper supplements. THAT SOUNDS HARSHER THAN LIVING IN NEW YORK! WAS THERE A “TRIGGER MOMENT” IN CREATING 111 SKIN? OR DID IT HAPPEN OVER TIME? In the beginning, my husband had no intention of creating a skincare range. He created the Y Theorem Repair Serum to help patients heal after surgery; it was a small little bottle that he would give complementary to clients in his clinic after they had surgical or nonsurgical treatments, but many were coming back and asking for more. It became almost impossible to stock, so he decided to create a range for everyone to use. CAN YOU DESCRIBE THE PROCESS IN FIGURING OUT THE EXACT INGREDIENTS FOR THE NAC Y² ? DID YOU HAVE AN IDEA OF WHAT SHOULD BE INVOLVED OR WAS IT PURE TRIAL AND ERROR? We had an initial idea but we worked closely with the space scientists and after a few revisions came up with the perfect ingredients. The key amino acid is the ingredient that is used in space to delay negative environmental conditions. The potent form of Vitamin C – Ascorbil Phosphate was suggested by Dr. Alexandridis, as it is a star antioxidant that can treat acne on the surface, stimulate collagen and also has skin-whitening abilities. AND WHAT ABOUT GLUTATHIONE...SOUNDS LIKE A MIRACLE WORKER. HOW DID YOU HAPPEN UPON IT OR IS IT SOMETHING YOU’VE BEEN WORKING WITH FOR A LONG TIME? As a medical student in the U.S. training to be a surgeon, Dr. Alexandridis administers Glutathione injection for liver failure so he knew it was vital for life. It plays an important protection role by neutralizing harmful free radicals and repairing cells. That’s incredible. OK now for some Fun questions. Can you take us through a typical day in terms of your diet and wellness regimen? I start everyday with freshly squeezed grapefruit juice; it’s such a refreshing wake-up that gets me energized for the day ahead. After a proper breakfast of granola or fruit, I usually walk my youngest to school for some quality time together. Right after school drop off I have either a quick run or a 30 min workout session at home (using fitness DVD’s). Sadly I do not have one whole hour to dedicate to a gym session and that is why I discovered the DVD’s-they travel with me everywhere as it is so easy to do 30 minutes anytime. I do try to have a work lunch. I love dark chocolate and have a bit every day. Dinners are usually at home with the kids, healthy recipes following the Mediterranean diet, lots of fresh fish and grass fed meat and always variety of veggies. What’s your favorite ritual with your family? My husband and I work in close proximity to each other, my office is around the corner from his Harley Street Clinic. We try and see each other for a quick lunch once or twice a week and in the evenings we spend time with our two sons and stay off email and phones to avoid being distracted by work issues. Family holidays are always set in advance and never changed for work related issues. Skiing in February and sailing in the Greek islands are a yearly occurrence. Recently we started diving. My 11 year old son, my husband and I dive together while our 6 year old stays on the surface snorkeling. Luckily he sees just as much exciting corals as we do in the deep waters. Spending time with friends and family. Family is so important and watching my sons grow up and planning activities for us to do is what makes me most happy. I also love to take time out to go for a run, having previously trained as an athlete, taking time to exercise clears my head and prepares me for the day. Our new addition, a Jack Russell, allows us all to hang out more together as a family, as we go for long walks in the park together. You're stranded on a desert island, what are you five must-haves? My husband, kids, Y Theorem Repair Serum, music and champagne. Seeing my kids laugh for no reason and seeing my business grow with the help of my very young and talented team.